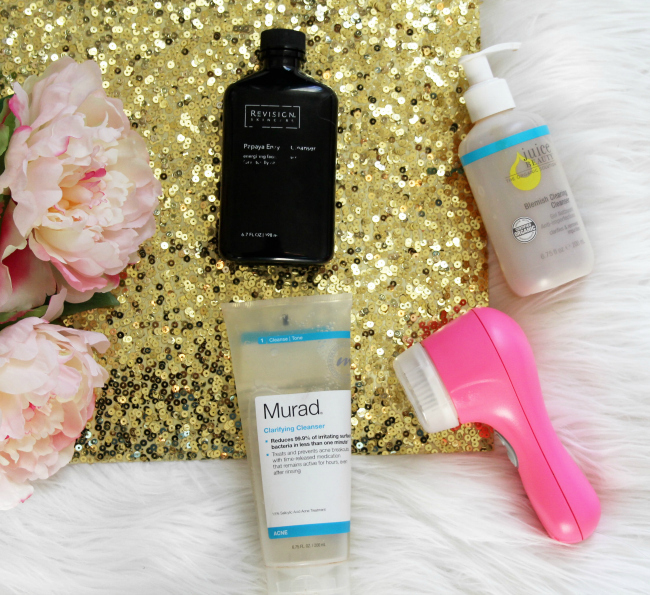 MURAD CLARIFYING CLEANSER: I will never stop purchasing this product. It changed my skin drastically. A lot of my acne was extremely inflamed. This cleanser worked magic. No joke! My skin was in pain with acne and this smoothed and soothed everything out. I noticed a changed after about a week of using this. The more I used it the better results I achieved. 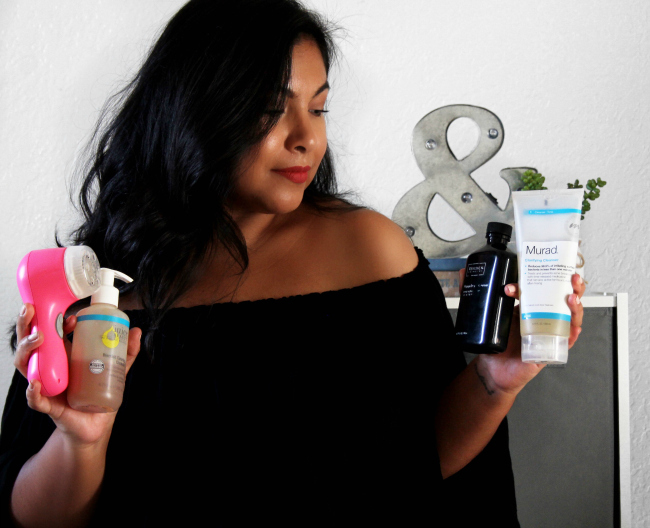 JUICE BEAUTY BLEMISH CLEARING CLEANSER: What I love about this brand is that all of their products are made with organic ingredients. I saw organic and I was like this has to work.😂 I am kidding, but after reading so many great reviews I had to pick it up. First of all this smells so great! The smell is not for everyone but I LOVE IT! My skin feels fresh, clean, and hydrated when I use this cleaner. I stopped using it because I don't want to finish it. 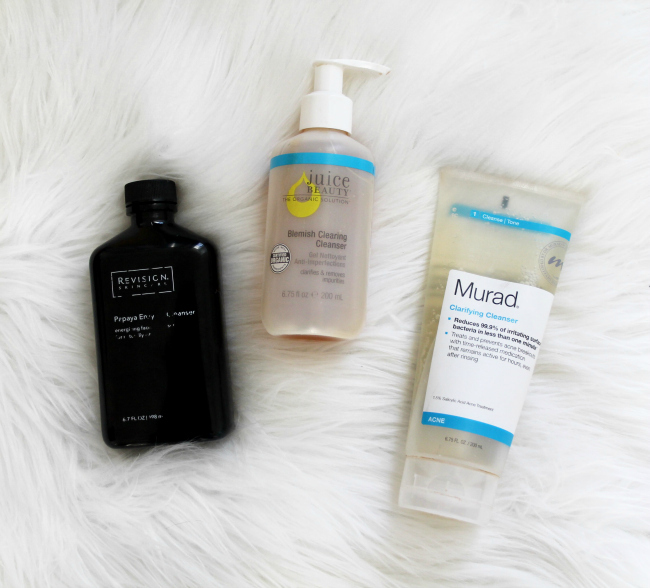 I really want to try more Juice Beauty products. Any recommendations? CLARISONIC MIA 2: I don't think my cleansers would be working at their full potential without this guy. I have been using this for about three-four months and I know that this has been a huge part of why my skin is doing so well. I used those regular Sephora cleansing brushes before this and they did help, but the Clarisonic is on another level. I was hesitant at first because of the price but I got mine on QVC and did the easy payments they have available. Best cleansing tool I have ever tried.